Salina passenger and car ferry ticket prices, timetables, ticket reservations and information for ferries sailing from Salina to Napoli. Compare all available Salina ferry ticket prices in real time and book the cheapest available Salina car and passenger ferry tickets sailing to and from Salina, Napoli with SNAV Ferry Line ferries online with instant confirmation. Book Salina Ferry Tickets with SNAV Ferry Line for ferries sailing from Salina to Napoli online in advance to enjoy the cheapest available ferry ticket price. The price you see is the price you pay. There are no hidden extras or surprises such as added fuel surcharges or booking fees and we do not charge you anything extra for paying with a Visa Electron card. The price we quote you for your selected Salina passenger or car ferry ticket, onboard accommodation and vehicle type is all you will pay, and that's a promise. To obtain a Salina ferry ticket price and book your ferry ticket securely online please use the real time ferry booking form on the left. You are also able to add a hotel at your destination, or anywhere else, to your ferry ticket when completing your ferry ticket reservation. Salina is the second largest in the archipelago of the Aeolian Islands and is quite different in landscape than the rest of the islands. Due to its numerous fresh water springs, the island is quite green. The island is listed in the UNESCO world heritage list due to its volcanoes. The island is composed of six different volcanoes, and the two most important ones are Monte Fossa Delli Fecci and Monte dei Porri. Both of these volcanoes are quite well preserved. The island is made up of three small towns and some villages and the population of the entire town is approximately 4000. As compared to some of the other islands in the archipelago, Salina is still quite untouched by tourism which makes it a special place to visit. Salina has two main ports Rellina and Santa Marina. There are regular ferries and hydrofoils from destinations like Naples, Pallermo, Messina, Reggio Di Callbria and Milazzo. Visitors can reach either of these destinations and take a hydrofoil to Salina. Ferries are only available from Milazzo and Naples. Regular buses are available that connect the towns and the villages on the island. Those coming in from other countries would have to book a flight for Naples or other Italian destination and then reach Milazzo and take a ferry from there. Depending on where you stay on the island the options to move around the area would differ. There are three main towns on the island, all of which are quite small and are easily accessible on foot. There aren't many attractions so they can be explored on foot within a day. The public transport system on the island is buses. Buses connect all the villages and towns on the island and are fairly comfortable. Information on bus routes can be easily available in the bigger towns. Museo dell'Emmigrazione Eoliana is probably the most interesting one among all of the islands in the archipelago. The museum showcases the effect and the extent of the immigration of the Aeolian Islands. The museum is quite small and the collection is also not very large, however, it is still worth a visit to get an insight into the background and the culture of the island. Salina has good restaurants that serve simple home style cooking. Most restaurants here serve Italian cuisine and fresh sea food. There are also a few small cafes, bakeries that serve traditional pastries and pizzerias that have some delicious freshly baked pizzas. The best restaurants to try out in the city are Cuccinotta Rita, Portobello, Da Alfreda in Cucina. These restaurants generally serve simple pastas, fish dishes like swordfish, sea food platters, stuffed squids, freshly baked breads, pizzas and some really good hearty desserts and traditional pastries. The restaurants here mainly have simple but elegant décor and many provide views of the sea. Salina is not a tourist oriented place so the shops here are where the locals do all their shopping. Some small but charming shopping streets are located in the three main towns of the city and sell beautiful hand made clothes, lace, cashmere sweaters, carved wooden artifacts, pottery, vases etc. Visitors might even come across a few antiques in the local markets which are put on sale by the locals. The other thing to purchase here would be local wines which are quite good and some cheeses. Best Price Guarantee - We always offer you our lowest available SNAV Ferry Line passenger and car ferries ticket price to and from Salina. There are no hidden extras or surprises such as added fuel surcharges or booking fees and we also we do not charge you anything extra for paying with a Visa Electron card. The price we quote for your selected Salina ferry ticket, onboard accommodation and vehicle type is all you will pay, and that's a promise! In the unlikely event you find the same all inclusive Salina ferry ticket cheaper in the brochure of any other tour operator we promise that we will do our best to beat that price or offer you the choice of requesting a refund. 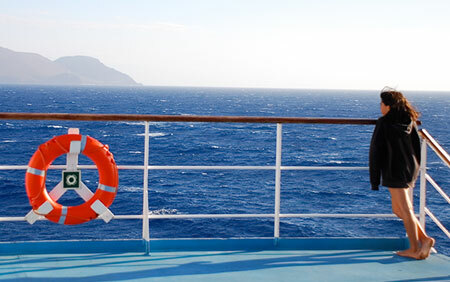 To book Salina car and passenger ferry tickets please click here. At ferryto.co.uk you are able to obtain live Salina ferry ticket prices, check availability and book car and passenger ferry tickets to and from Salina at our lowest available ticket price. Ferryto.co.uk is part of the world's largest online ferry ticket distribution network providing the ability to book over 80 major European ferry operators including to Salina and to over 1,200 other ferry routes throughout the UK, France, Spain, Ireland, Holland, Eastern Europe, the Mediterranean, the Baltic and North Africa.